Yet another study could potentially confirm what many cannabis medicine supporters already seem to know when it comes to treating the symptoms of Crohn’s disease. Researchers in Israel recently presented the results of the study at the European Gastroenterology Conference, and it showed an improvement in quality of life and a reduction in pain associated with Crohn’s after patients took cannabis oil over a period of time. Crohn’s disease is an inflammatory bowel condition that can impact any area of the gastrointestinal tract, but its effects are most commonly experienced in the small intestine. The condition is often debilitating and extremely painful. Dr. Timna Naftali – the study’s lead researcher and a gastroenterology specialist at Meir Hospital and Kupat Holim Clinic in Tel Aviv, Israel – pointed out that medications prescribed to treat Crohn’s often address controlling inflammation, but do little to improve the discomfort and pain associated with the condition. “Medications are often prescribed with the aim to control the inflammation. These commonly include antibiotics such as ciprofloxacin, aminosalicylates (a type of anti-inflammatory drug), steroids, immune modifiers, or biologic therapies,” Dr. Naftali said. The study showed that 65 percent of the patients who were given cannabis oil stayed in remission of Crohn’s disease for two months. Only 35 percent of the participants administered a placebo remained in remission. The oil contained 15 percent CBD and 4 percent THC. The patients who took cannabis oil said that they experienced a vast improvement in their quality of life. Cannabis medicine has been well documented for being an anti-inflammatory. To the surprise of the researchers, endoscope tests for bowel inflammation indicated no noticeable difference in inflammation in comparison to the placebo. The researchers indicated that this is yet another area of scientific study on cannabis medicine treatment for Crohn’s that is not yet understood. The anti-inflammatory properties of cannabis weren’t why the patients felt relief of their symptoms, according to the researchers. “We have previously demonstrated that cannabis can produce measurable improvements in Crohn’s disease symptoms, but to our surprise, we saw no statistically significant improvements in endoscopic scores or in the inflammatory markers we measured in the cannabis oil group compared with the placebo group. We know that cannabinoids can have profound anti-inflammatory effects, but this study indicates that the improvement in symptoms may not be related to these anti-inflammatory properties,” Naftali said. The researchers concluded that regardless of the specifics when it comes to anti-inflammatory properties, cannabis medicine is a great choice for those suffering from Crohn’s – even just for the pain relief. 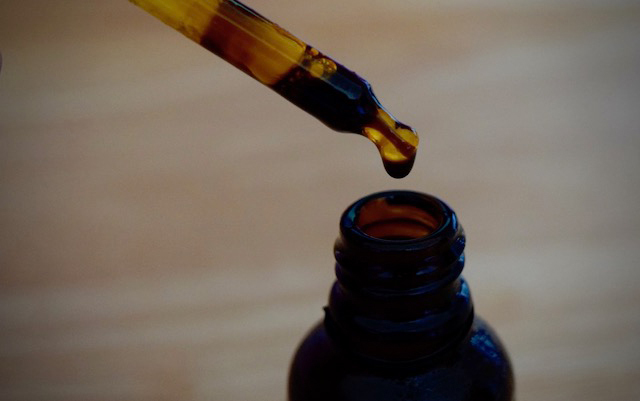 It may sound like a broken record by now, but more scientific research is needed to fully understand why the patients who took cannabis oil felt relief.